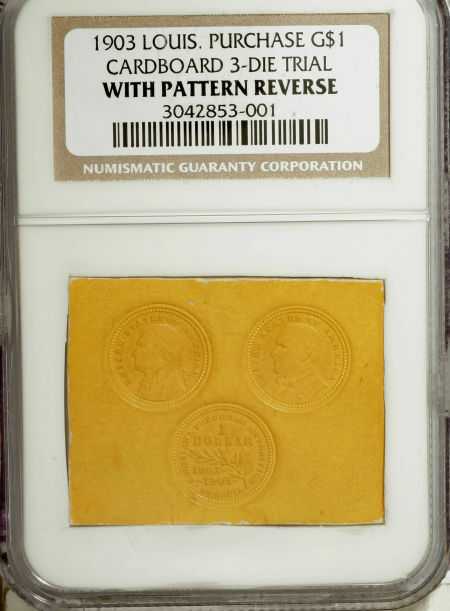 These impressions in yellow cardboard measure 40 x 32 mm and show the obverse imprints of both the Jefferson and McKinley gold dollars with a slightly different pattern reverse. Andrew Pollock assigned two numbers for this piece, apparently believing the obverses were on one card and the reverses on another. They should have received only one number. There are two examples known, but the second is very different from this piece. The other contains both obverses and six different reverses. That piece is permanently impounded in the Smithsonian. This is the only cardboard impression available to collectors. 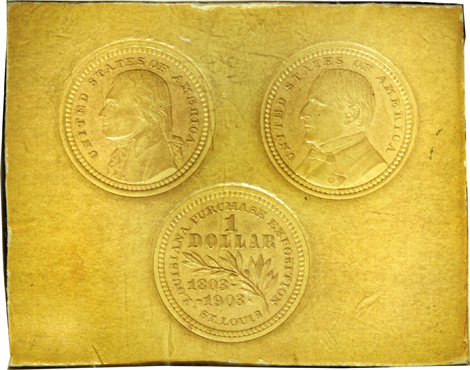 Cardboard impressions are obviously rare but they date back to 1849 for the gold dollar. Other impressions include the 1851 three cent silver, and the Isabella quarter (obverse and reverse). The reason for the Isabella strikings is evident from the writing on the back of each card: They are first strikings from the new dies. One might easily assume the gold dollar and three cent silver impressions were for the same purpose. The purpose here is somewhat more enigmatic. With a pattern reverse included on this card, it is likely this was produced before the first day of issue, as a first day of issue would surely have included the adopted reverse. 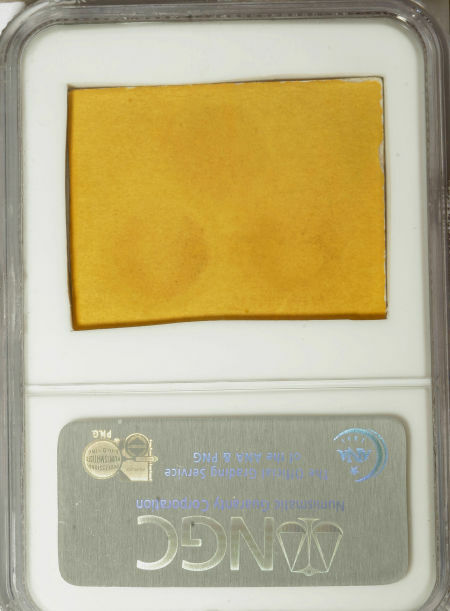 The cardboard has a rich, deep gold color, obviously meant to suggest the gold dollars that were soon to be struck. Deeply impressed. Regarding condition, this piece is essentially as struck with no scratches or surface problems worthy of mention.